Last week after attack on Freedom Flotilla that was taking aid for People of Gaza Yesterday Israel has also stopped the aid ship of Ireland from going to Gaza and taken it to Israel. The ship was taking lot of Aid for Gaza but Israeli Navy Commandos taken over it in open sea. 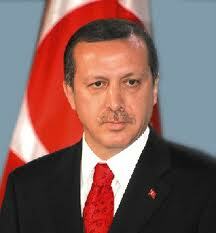 Turkish Prime Minister Tayyip Erdogan has announced to go Gaza with Turkish Army. Turkish Prime Minister has also informed America about it. Tayyip Erdogan said in a statement that Hamas is not a terrorist organization but it is struggling for the freedom of its land. He also said that i will go to Gaza with aid in few days. Turkish Prime Minister has also played a very impressive role in past as well for raising voice in support of people of Palestine.